Technology is slowly bridging the virtual and the real worlds, through the social media. In view of this notion, the article below provides top five Social Android Apps for users who like to stay connected. Android Apps not only helps users to connect with each other but also help them share information, skills and experiences while sitting in the comfort of their homes or from offices. With thirty thousand new apps per month, Android surely seems to be leading the app market. Android apps are easy to install, user friendly and interactive. Currently, Android has around 400,000 free Apps in the market under various categories. Sharing close competition with iOS Apps, Android has apps for some of the leading social networks like Facebook and Twitter, and these Apps are an instant hit with the users. So, without further ado, here’s a list of the top five Social Android Apps which are changing the way we reason, bond and share. What’s more, they are free, so start downloading now! CanWeNetwork is takes a fresh approach to professional networking through LinkedIn. Professionals can connect with each other, based on parameters like location, interests, qualification, expertise and experience. Think of it like a spider’s web, where you lie in the center and the web around is of like-minded people, with similar profiles. Additionally, the CanWeNetwork suggests professionals you should know and expand your network with. Within minutes you have access to recent job opportunities, skills, courses, companies in the market. You can create event alerts, ask for advice, and publish images, files, presentations with much more, subject to your requirement. Geosocials is a location-based social game. You can collect and share diamonds with fellow players in your vicinity. You can use the Google map to find diamonds and leave the diamonds for them. You can play the game sitting at home or while outside the house. During the game, you can add other players just like on Facebook and exchange ideas. Geosocials is very easy App and has multiple gaming formats. You can use your Facebook profile to log in. You can even share your victory with other social sites like Facebook and Twitter. Moreover, you can gather deals only by voting for them. Or if you are not in the mood you could choose the invisible mode. With Geosocials you would never feel alone, as you always get to find treasures that others leave for you! SynkMonkey is a calendar App that helps you to share and program events. Similar to Facebook event creator but far more advanced than it. SynkMonkey allows all invitees of the event to share information with each other. If your friends are not SynkMonkey users, they get notified with an SMS. SynkMonkey has an inbuilt map so you can inform your friends about the exact date, time and location of the event. You can write elaborate event details as there are no word restrictions and even edit it several times. You can save a lot of time, energy and money by not having to send cards invites or making phone calls. You can share the event on various social media sites and keep a track of the RSVPs too. This is a highly recommendable app for event companies and corporate houses. CrowdClourd helps you to get in touch with your local areas of interest. You can use the App to locate restaurants, salons, universities, heritage buildings and many key places of your choice. You can add friends and share local news with them. You can upload images, offer updates about your locality on other social sites, too. What’s best is that the App has an easy to follow tutorial. You get filtered results of your search or the best result for your search criteria. CrowdClourd is a real time App that helps you stay connected socially and locally! Stiktu is a fun App which lets you alter the real world. Click pictures of the interesting things around you and edit those using cool tools from Stiktu. It takes the idea of the Paintbrush to a whole new social level. 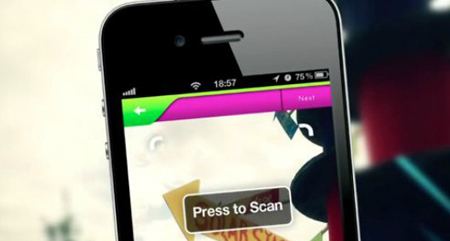 With Stiktu you can even beautify your scans and add text to them. Stiktu is a handy App for travelers, photographers, students and just about anyone. Moreover, it uses minimum bandwidth and would not decrease the speed of your device. As you read this article, the world around you is mingling, at a rate you can’t imagine. It’s time, for you to connect and explore the limitless possibilities, right outside your window or somewhere at a place on the map you never have imagined. Use Android apps to bring the world at your fingertips in just a few taps. Make this world your playground before it’s too late. Albert Vang is a developer with PLAVEB, a world renowned Mobile Applications Development Company in Los Angeles. He has also worked on challenging Mobile Website Design & Development projects, giving him newer insights into mobile technology and he loves blogging about the same.